£23 for on line bookings including programme and festive refreshments. £25 by phone or post. Join Hft at Dorchester Abbey for The Coming of Christmas 2018. The beautiful Abbey, bathed in the glow of more than 1,000 tealights, creates a truly magical backdrop for this much-loved Christmas celebration. Sit back and enjoy some superb festive music from The Choir of Magdalen College Oxford – conducted by Mark Williams – and readings performed by actress Juliet Stevenson, CBE* and actor Michael Pennington*. 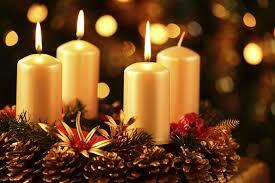 Mulled wine and mince pies are included in the ticket price, and will be served in the Abbey after the concert. Juliet Stevenson is best known for her leading role in 1991 film Truly, Madly, Deeply and her roles in Emma, Bend It Like Beckham and Mona Lisa Smile. Recent and upcoming theatre appearances include Mary Stuart, Hamlet and Wings. Michael Pennington has played most of the major Shakespeare roles for the RSC and for his own English Shakespeare Company. His TV and film credits include Star Wars: Return of the Jedi, State of Play and Waking the Dead. All proceeds from the event will be split between Hft South Oxfordshire & Berkshire and Hft North Oxfordshire & Vale, ensuring that people with learning disabilities in the local area receive the practical help, support and encouragement they need to find more satisfaction and comfort in life.